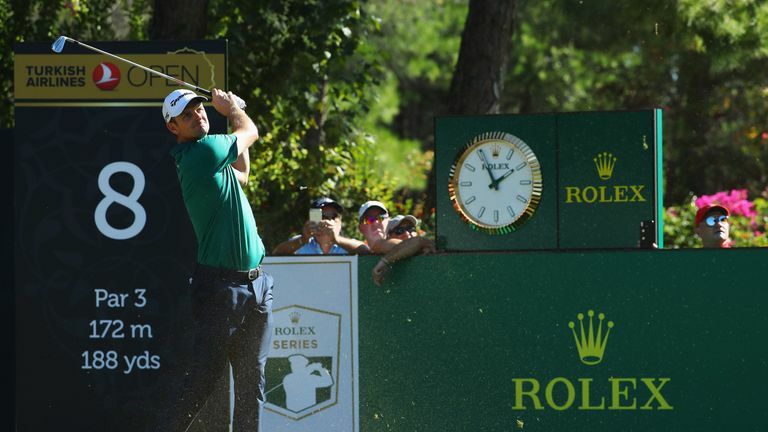 Justin Rose's hopes of retaining his Turkish Airlines Open title were hit by a number of mistakes on day three as he found water three times on the back nine. Justin Rose insists he has "everything to gain" in his pursuit of back-to-back Turkish Airlines Open titles after struggling with focus and fatigue on day three. Rose has never managed to successfully defend a title, but victory on Sunday in Antalya would see him regain the world No 1 ranking from Brooks Koepka, although he will start the final round three shots behind Haotong Li after finding water three times on the back nine in his third-round 69. The overnight leader reeled off three straight birdies from the fourth and added another at the ninth after a three-putt bogey at the seventh, but his poise and accuracy suffered after the turn as he lost balls in water hazards at the 10th, 15th and 18th holes. 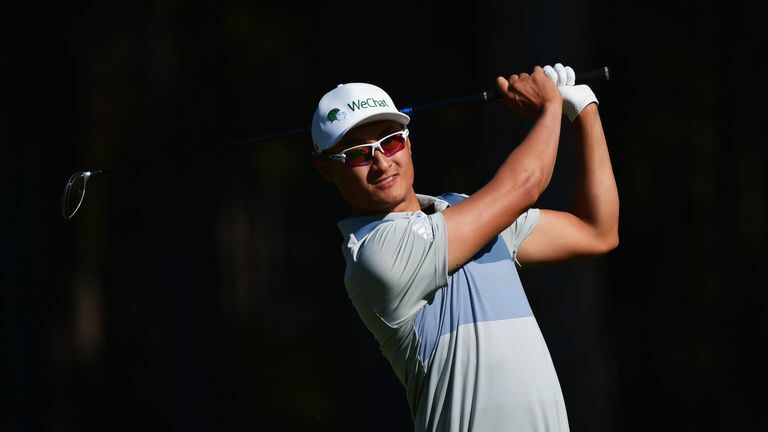 Haotong fired a blistering 63 to hit the front on 17 under, and Rose insisted he will cut out the mistakes over the final round as he reflected on an uncharacteristically erratic day at the office. "I struggled with my focus and my concentration, and I made a couple of questionable decisions out there," said Rose, who was frustrated at tugging a five-wood off the tee into the water at the final hole. "Simple things like the last hole, really. "I knew five-wood was probably the right club off the tee but I knew it was a tougher pin and sort of tried to force the issue a little bit, because three-wood ran out into the bunkers today. "From the 10th hole onwards, things seemed a bit more of a struggle, so I just have to make sure that I come out and put a little extra emphasis on the patience and the mental side rather than just feeling like everything is going simply and smoothly. Maybe I just lost a little sharpness today, but that will be back tomorrow. "At the par fives, and maybe at the 15th again, it was just slightly impatient decisions. But it was maybe just a little bit of tiredness, I don't know, but the focus today was probably the biggest difference. "I think it's the same situation I was in last year. I was two back last year. To this point it's all water under the bridge, so you just have to come out tomorrow like I did today and play well. "I feel like there's nothing to lose. To come out and free-wheel and play for that, I'm going to have to shoot in the mid-60s to make that possibility. That's the mentality. It's actually going to be a bit easier than being one ahead, so from that point of view, I've got nothing really to lose and everything to gain." Haotong, meanwhile, was delighted with his performance as he put himself in pole position to claim his second win of the the year, having held off Rory McIlroy at the Dubai Desert Classic in January. The Chinese ace cruised to the turn in 29 and then produced the shot of the day, a stunning hole-out from the rough for an eagle-two at the 10th, and he said: "That was quite a special moment for me. "I had 173 yards, with eight-iron, and I tried to hit a high fade, which I did, but it was a little bit of a flyer lie and finished pin-high, which is a little long, but luckily from the top it rolled in. "I saw my name at the top of the leaderboard, and it was quite exciting at that time. I start thinking, if I make a couple birdies, it's going to be perfect for tomorrow, but to finish like that is good enough for me. "I have definitely got a lot of confidence from Dubai, and since then, I've been playing a lot of big events, which has built my confidence. It's going to be an exciting day tomorrow, and I'm looking forward to going up against Rosey."